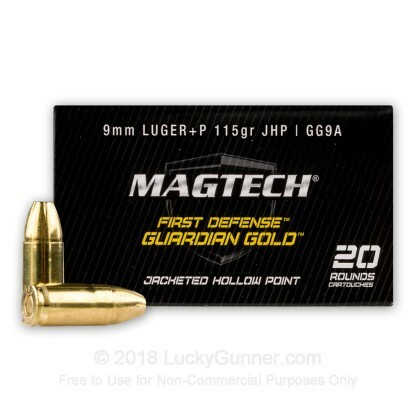 Magtech's Guardian Gold 9mm JHP ammunition is a great choice for premium self-defense ammo! 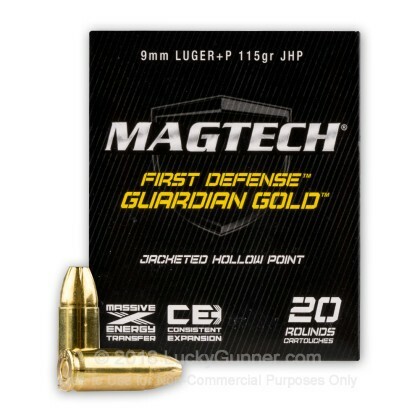 It offers affordable personal protection that packs a powerful punch! 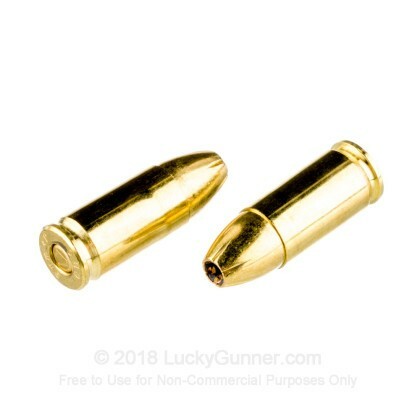 Thanks to its tremendous stopping power, deep penetration, awesome mushrooming, and dead-on accuracy, Guardian Gold is fast-becoming a favorite among those seeking reliable, affordable personal protection. 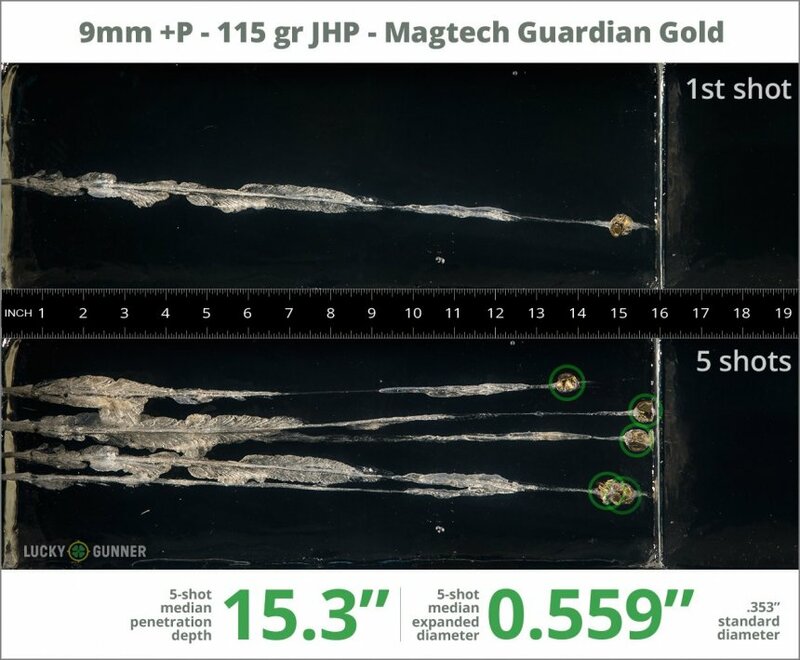 We test fired five rounds of 9mm Luger (9x19) Magtech 115 Guardian Gold +P into synthetic ballistic gelatin to observe its expansion and penetration characteristics. The ammo was fired from a Smith & Wesson M&P9C pistol at a distance of 10 feet. A four-layer barrier of heavy fabric was placed in front of the gelatin to simulate clothing. 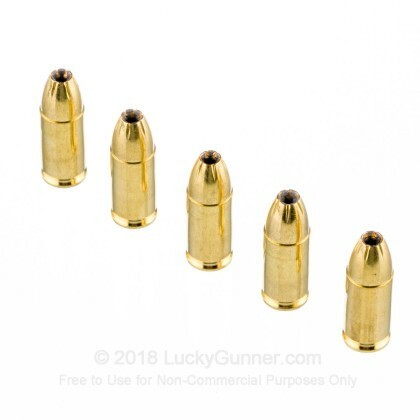 0.90" This ammo: 0.56" Min: 0.32" Median: 0.50" Max: 0.90"
15.3" 0" 5.6" 17.7" 47.5" This ammo: 15.3" Min: 5.6" Median: 17.7" Max: 47.5"
First time I had shot JHP in my P226. 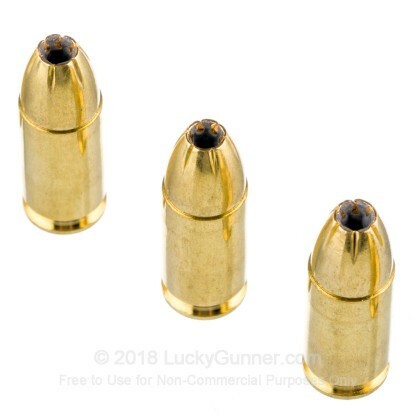 Of the around 800 rounds I have fired in the past couple months, all everything had been FMJ. 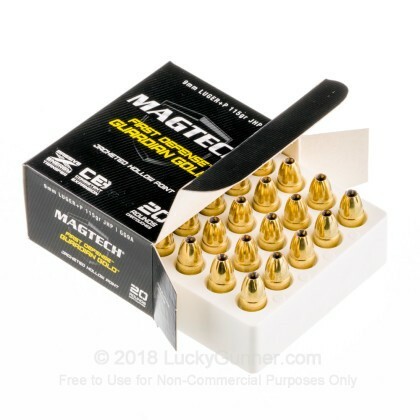 I bought 100 rounds of the Magtech Guardian Gold and fired a couple boxes to see how they ran in my gun. They ran fine, but the cool thing is how straight they shoot. I guess that's why JHP's cost 3 times as much as FMJ. Good product, will buy again. Killer +P 9mm. Positive feeding, reliable, accurate. Shot a couple boxes out of an M&P 9 and had no issues. You will be amazed at the accuracy.